Santa really does read my blog! Remember this post before Christmas? Isn't it so exciting?! We took out that ceiling fan and the weird flush mounts and the ceilings feel ten times taller. It changes the whole room. can you see the kitty cat? c) I was hoping the warmer color would make me like the cabinets better. Well, I gave it a good 9 months, and unfortunately, the recessed lighting has not done the trick to make me automatically love the yellow (or the cabinet color, for that matter). 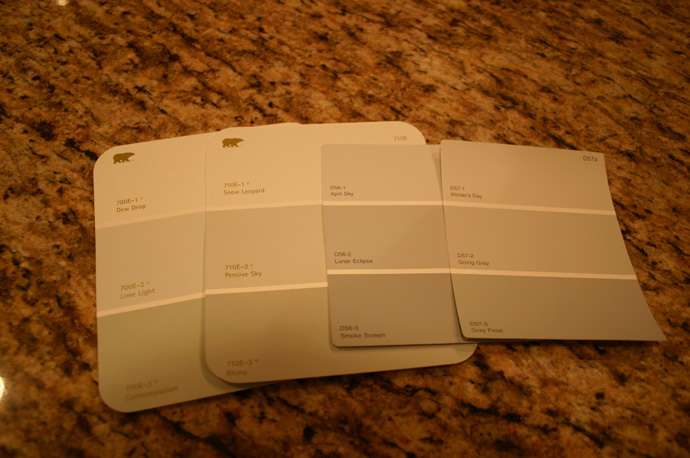 The criteria is something-that-will-look-good-once-I-can-paint-the-cabinets. Any ideas? Geez you can spend $$ in kitchens quickly! This will surely take a while, but the lighting was a HUGE step. the lighting looks great and what a difference! 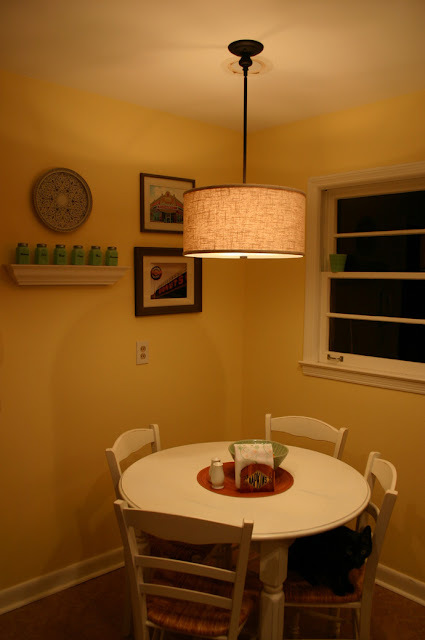 I love the new fixture above breakfast table too. A good color that plays off a lot of color and I think the light would bounce off well is Ancient Marble by Sherwin Williams. I have a sample that you can look at and Home Depot has their paint in their system. I am wanting my mom to paint her bedroom this color and going to order her a larger sample. 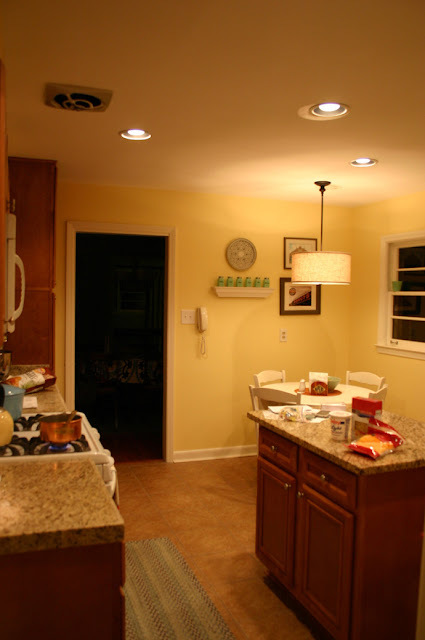 The lighting and the fixture changed the whole look and feel of the kitchen, Leslie! I just love it!